LA LA LAND – Rock the Cure Reviewed by Patrick O’Heffernan on June 29, 2018 . Tags: Agora Hilla, Ambrosia’s Ken Stacey, American Idol finalist Carly Smithson, Cancer Survivors, Canyon Club, City of Hope, elvis, Eric Clapton, George Harrison, Jailhouse Rock, Jonathan Richmond, Jr. The Honeys - Marilyn Wilson-Rutherford & Ginger Blake, Kim Vo Salons, LA, La La Land, La La Land Column, Lamont Dozier, Little Feat, Los Angeles, Paul McCartney, Pravana, Ringo Starr, Rob Morrow, Rock the Cure, San Fernando Valley, Steven Goddard, The Decades, the Strawberry Alarm Clock, Tribe Members, Weather Report. The Tribe is a unique LA institution. Part rock band, part tribute band, part charity fundraising powerhouse, part moving party — and all heart and soul. 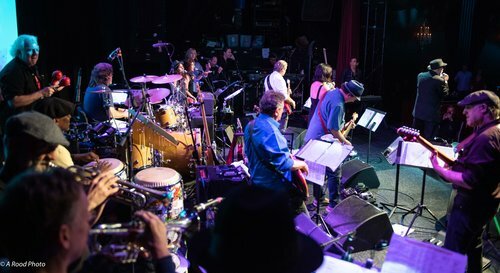 The brainchild of drummer/record producer Kevin Wachs, who serves as its Executive Producer as well as a principal of The Get Together Foundation and publisher of Rock Cellar Magazine, it is a collective of LA-based session and touring musicians and singers, joined by a constantly rotating roster of celebrated artists. 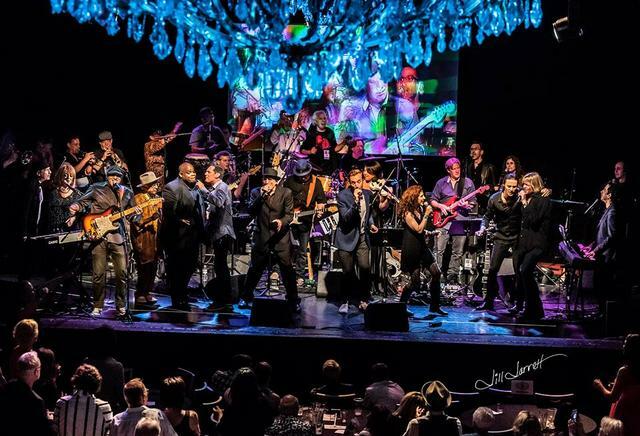 The Tribe plays all-star, multimedia charity concerts throughout Southern California, raising money for a variety of nonprofit organizations including the City of Hope, Hurricane Matthew victims in Haiti, Thomas Fire victims, and homeless organizations. 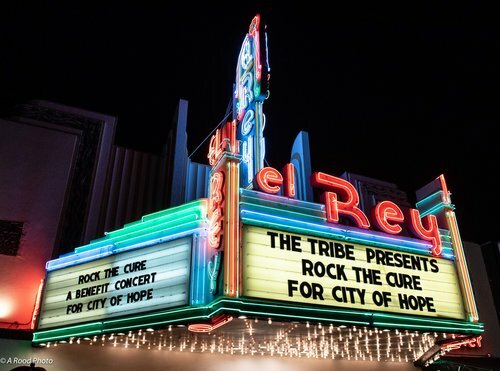 While I have known about The Tribe for some time through my friend Laurie Reimer, the Tribe’s Production Manager/Music Librarian/backup singer, it wasn’t until last Friday that I had the full experience of the Tribe at the Rock the Cure Decades Concert held in LA’s opulent El Rey Theater. 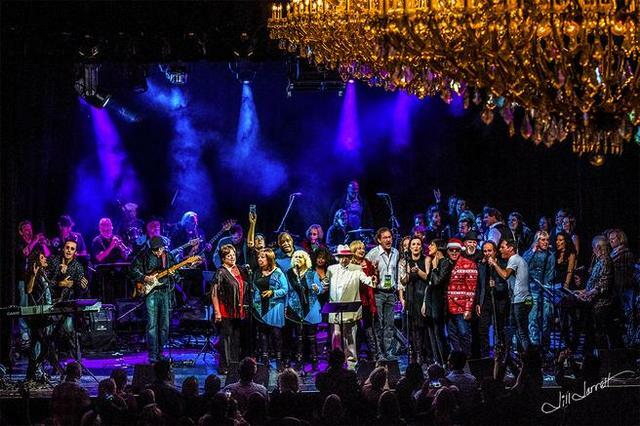 The concert brought together luminaries from the LA music and entertainment scene and some of L.A.’s most recognized and respected celebrity guests from the hair and beauty industry (more on that later). I am still vibrating – and that is saying a lot for a music writer who goes the three or four concerts a week. 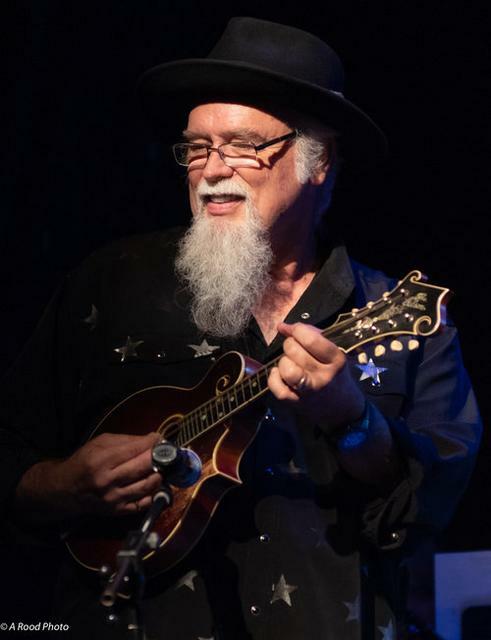 Jeff Alan Ross, Gary Griffin, and Steve Bauman; horn players Scotty Mitchell, Chris Elliott, Chad Watson; and backup vocals by the Von Pratt Family Singers — John Pratt, Lauri Reimer, John McNeely, Jaynee Thorne. If some of those names sound familiar, they should, All of The Tribe’s members have deep roots in music and entertainment. Just to name a few, Rob Bonfiglio is a founding member of Wanderlust, keyboardist Gary Griffin played with the Beach Boys and appears on the TV shows General Hospital and Full House, and guitarist Marc Mann performed and recorded as part of the Electric Light Orchestra and alongside Eric Clapton, Ringo Starr, and Paul McCartney in the Concert for George (Harrison). 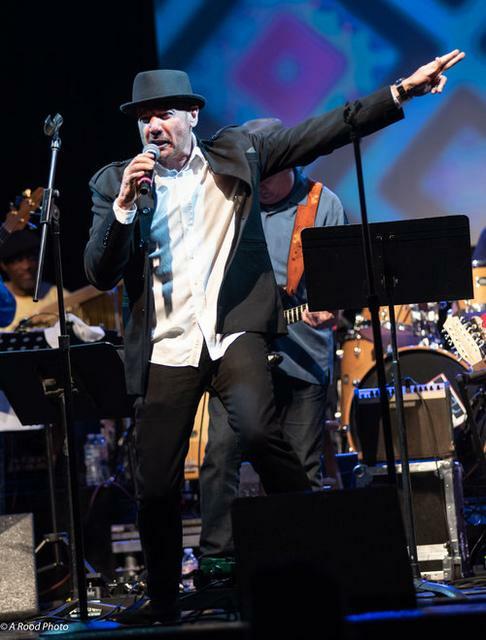 Equally familiar may be some of the celebrity talent The Tribe attracted to Rock the Cure, people like actor and director/musician Rob Morrow, American Idol finalist Carly Smithson, Ambrosia’s Ken Stacey, Lamont Dozier, Jr. The Honeys – Marilyn Wilson-Rutherford & Ginger Blake, the Strawberry Alarm Clock, and many more (go to https://www.thetribeband.com/meet-the-tribe-members.html for the full list). And of course, this being LA where many people in music and entertainment know each other, the stars and Tribe Members hung out in the bars and the lobbies and chatted with and gave selfies to fans (and each other). 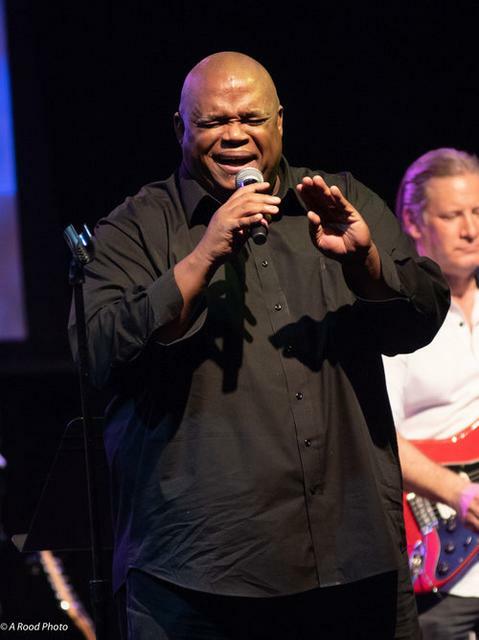 Cancer survivors, some of whom were musicians playing that night, were on hand to tell their stories of help from the City of Hope, both from the stage and in the conversations on the floor before curtain and during the intermission. They circulated with some of LA’s top hair and beauty industry representatives, many of who routinely donate wigs and cosmetics and beauty services to cancer patients undergoing chemotherapy. A driving force behind the music and beauty connection at Rock the Cure was Steven Goddard, MC for the evening. 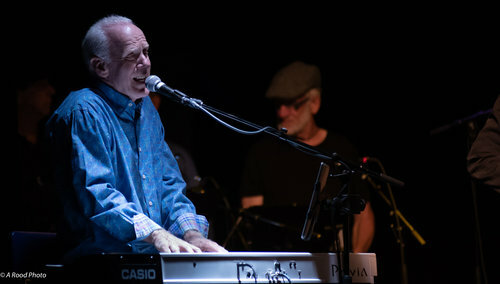 A prolific songwriter and singer who performs with his band in Southern California venues , Goddard is also a producer who has worked with artists like Aerosmith, Jonathan Richmond, Weather Report, and Little Feat. The beauty connection comes from his other career; Goddard is also the founder of Pravana, maker of a range of professional hair care products used throughout the industry. Pravana is known not only for the quality of and popularity of its products, but for its policy of giving back a percentage of its profits to the City of Hope and other charities. Among the hair and beauty industry notables present were Kim Vo of Kim Vo Salons, Sara Jones of Sara Jones Hair Artistry, Dove Hair Products’ Christopher Dove, and celebrity stylist Jessica Warburton. The Decades show took us decade by decade from 1950 to the 2000’s, starting with Elvis’s Jailhouse Rock” performed by Steven Goddard and wrapping up the night appropriately with Pharrell William’s “Happy” delivered by Gary Stockdale and MJ Ultra. Well, it didn’t quite wrap up the night. The Tribe was joined onstage by all of the celebrities, hair and beauty industry representatives, and production team members for a final farewell. But even that wasn’t final; given that the El Rey holds a hair under 800 people and the demand far outstripped its capacity they all came back the next night and will come together again on July 3 for a third night of Decades at the Canyon Club in Agora Hills, in LA’s West San Fernando Valley. It is institutions like The Tribe that see a future beyond themselves that help make LA LA Land a great city.